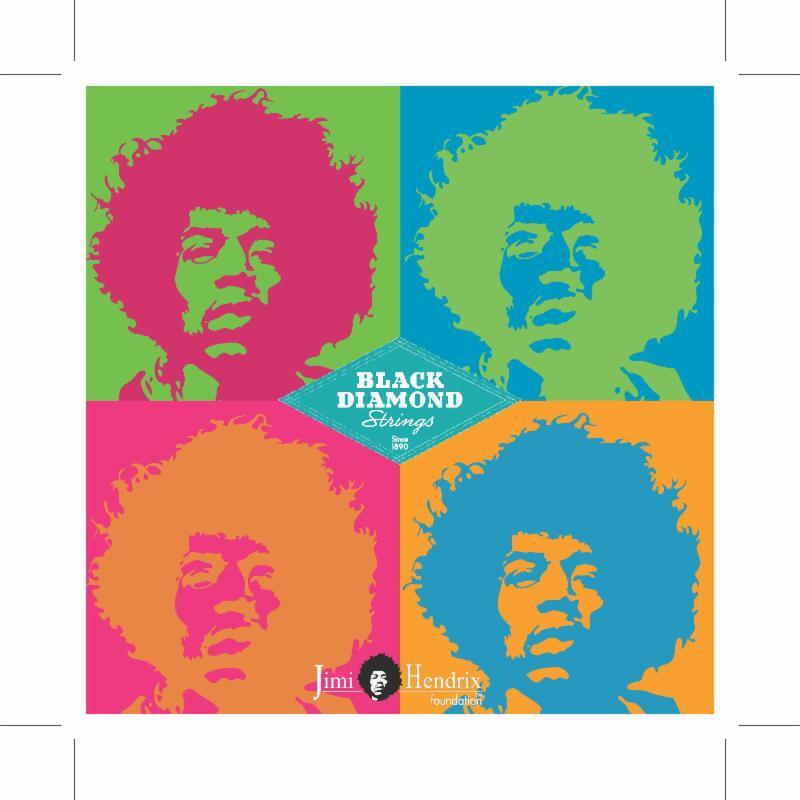 BEFORE THERE WERE ADS AND ENDORSERS, BEFORE PLAYING GUITAR BECAME A FASHION, A YOUNG MAN NAMED JIMI PLAYED BLACK DIAMOND STRINGS! BUY YOUR SET NOW ! 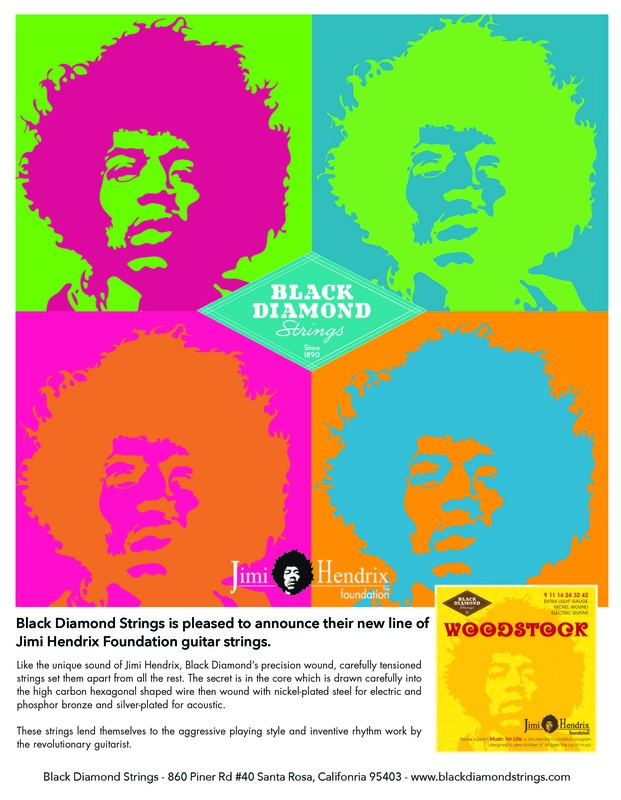 Jimi Hendrix Foundation"Music For Life Program"
Black Diamond Strings is excited to partner with the Jimi Hendrix Foundation’s “Music For Life” Program. Each set represents one of Jimi’s iconic performances: The Monterey Pop Festival, Royal Albert Hall and last but not least, Woodstock.
" 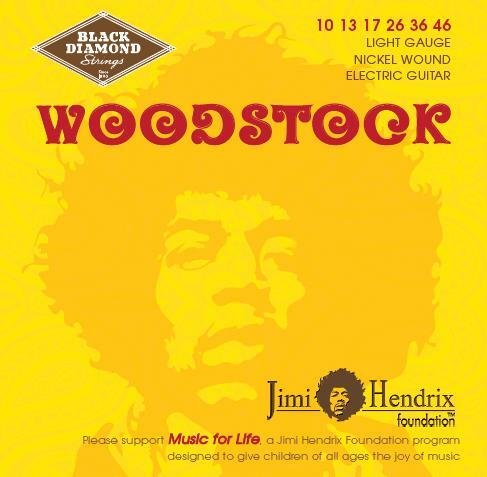 Music For Life Program "
The Jimi Hendrix Foundation is dedicated to the betterment of the world community through music. In honor of the love and giving spirit of Jimi Hendrix, the Foundation works to improve the quality of life for children and the world and to inspire creativity in music, arts and, sciences. 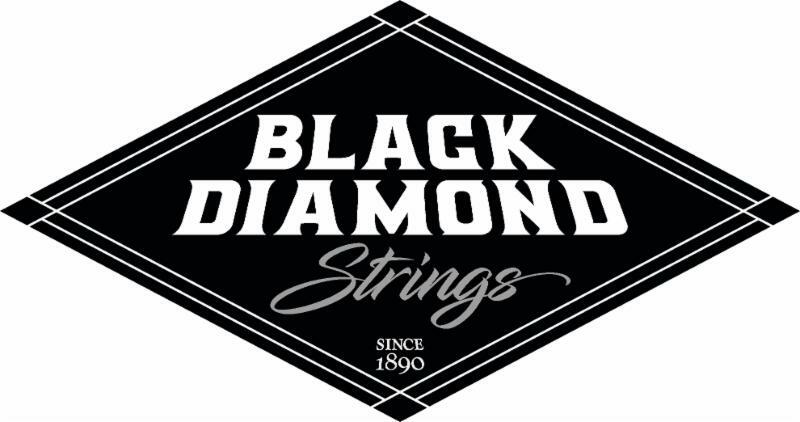 The partnership with Black Diamond Strings will allow the Jimi Hendrix Foundation to showcase its Music for Life program. Music for Life was established to provide children and young adults with musical instruments and instruction without the worry of cost. Each Black Diamond Jimi Hendrix Foundation " Music for Life "set of guitar strings comes with a retro collectible sticker!